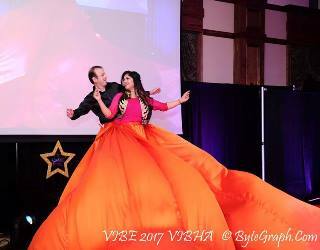 Atlanta witnessed a unique event on March 11, 2017: an eclectic group of people dancing for the Vibha fundraiser called “Vibe 2017 - Dancing for a cause.” The cause was helping India’s underprivileged children, and the event raised about $80,000 to cover the cost of a year’s education for about 3,000 children in need in India. India, by one count, has 18 million street children and over 22 million child laborers. Nearly 20% of the children 6-14 years old have no access to primary education. Less than 45% receive the immunization required to protect them from deadly illnesses. Half the children do not get enough food every day and are chronically or acutely undernourished. Vibha works to change this. 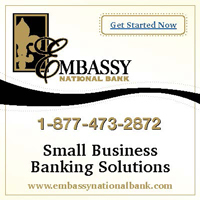 It is a nonprofit which since its inception in 1991 has raised $13 million and supported more than 250 projects in India and 10 projects in the US. With a vision to ensure that every underprivileged child attains his/her right to health, education, and opportunity, it has touched over 300,000 underprivileged children. Its volunteer network of 2,200 volunteers is spread across 18 action centers in cities in America and India. 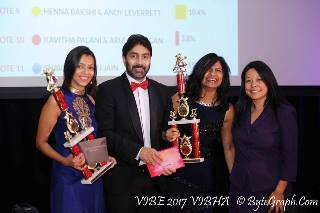 Vibha Atlanta has several fundraising events throughout the year such as the popular DreamMile and Vibha Cricket events. 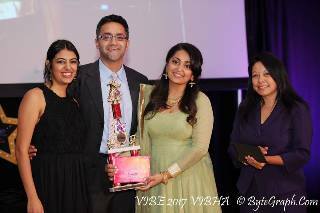 This was the first time Vibha hosted a cultural fundraising event that involved the local community leaders and local celebrities, with the intent not only of creating more visibility for Vibha but also of having the patrons form a personal connection with the cause and celebrate the joy of giving with their family and friends. The event was sponsored by Basuree, Yupp TV, Futurewave, and S3 catering, and was supported by Maison D Puranique, Meraki Makeup, CountOnUs, ByteGraph Productions, Bhushan Karnik Photography, BeTheYou and Prem's Dance Studio. Modeled loosely on the popular TV show “Dancing with the Stars,” this was also a black-tie dinner event with auction. A team of 10 dedicated Vibha volunteers worked tirelessly over the past couple of months to conceptualize, plan, and organize this event. An additional 18-member event day volunteer team executed the event to perfection. 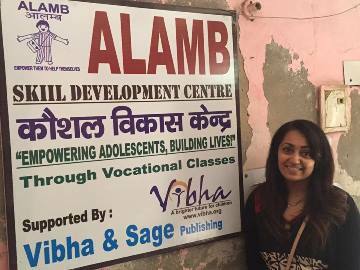 At left: Pramod Sajja visiting Devnaar Foundation for the Blind, and Alpa Amin’s visit to Alamb in Delhi. The format was simple: 11 distinguished couples, “Stars” from the Atlanta area were paired with a choreographer of their choice, to compete in a dance face-off in front of a sold out crowd. The Stars were chosen based on nominations from Vibha Atlanta’s volunteer team. These stars represented various professions and communities in Atlanta ranging from founders of successful companies, executives at global firms, community association leaders, to trailblazers at nonprofits. They were also entrusted with the task of raising funds for Vibha by influencing their friends and family to contribute for the cause. 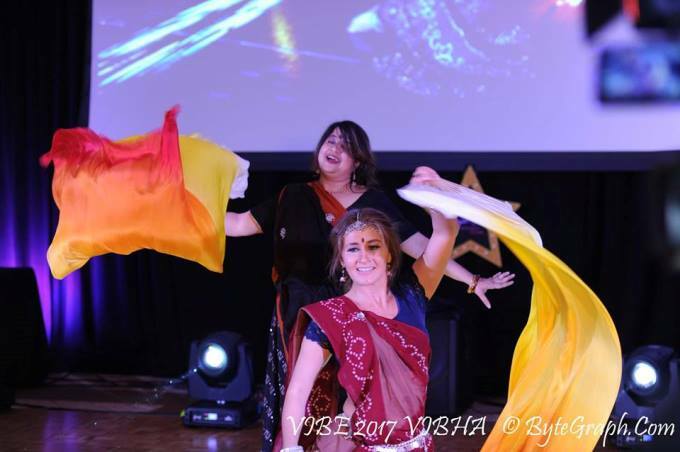 The entire experience was a culmination of over two months of intensive practice and coordination where the stars not only rehearsed for their performances and generated funds, but also learned about Vibha’s work through involvement in projects of their choice. While two couples actually visited those projects and met the beneficiaries in India in person during this time, others used technology such as Skype and FaceTime to chat and get to know the beneficiaries and project volunteers. Social media, particularly Facebook, was used to make the message go viral as the participants posted preparation videos and shared messages about this unique event. The evening started with Neha Negandhi emceeing the Basuree-sponsored fashion show choreographed by Shaveta Jain of BeTheYou; models sashayed on the ramp wearing contemporary Indian outfits. The display included floor length evening gowns with an Indian twist as well as contemporary stitched sarees. Amit Malik and Alpa Amin set the dance competition rolling with a foot tapping medley of Bollywood numbers that included “Aati Kya Khandala” and “Balam Pichkari” with the able guidance of their choreographer Gayatri Menon of ExpressTheBeat. The next stars of the evening were Aparna Bhattacharyya and her choreographer Maria Martynova (above), who danced to a contemporary number called “Man Ke Manjire.” A very apt choice, the dance was an inspirational ode to women. The use of bright silk fans during the dance added an element of drama to the nuanced performance. Sporting snazzy matching ice blue ensembles, Pramod and Pratima Sajja, who partnered with choreographer Neeti Mehta, came right after, starting with the soft and dreamy “Khuda Jaane” song and ending with the more contemporary “Nashe si Chad Gayi.” Priya and Sonica Sahetiya were up next and performed semi-classical Bollywood numbers. The mother-daughter duo danced to “Deewani Mastani” and “Prem Ratan Dhan Payo,” with the steps choreographed by Sonica herself. Graceful and in tandem with flowing ghagras, this was a real treat to watch. The fifth performance of the evening to the unexpected delight of the audience was a waltz! Gracefully performed by Sulabha, dressed in a beautiful wine red evening gown, and Abhay Paranjape to the music of Olivia Newton-John’s “Instrument of Peace,” this evoked the charm of fluid dancers in perfect sync. This piece was choreographed by Brian Dixon of Planet Ballroom. Sudhir and Payal Agarwal were the sixth dancing stars in the lineup with a Bollywood remix of “Dil Kya Kare,” “Chittiyaan Kalaiyaan,” and “High Heels.” Choreographed by Udita Menon of ExpressTheBeat, the performance was interspersed with some storytelling, ending with a plea for donating to Vibha. Chandrika Narayan came next, supported by her choreographers Meghna and Movina. They started with “Aja Nachle,” which saw Chandrika displaying some nimble footwork. The song swiftly melded into a Michael Jackson classic, “Black and White,” where the dancers gave a fitting dance tribute to the King of Pop. Neha and Nish Parikh performed the next number with a medley that included “Banno,” “Breakup Song,” and “Gerua.” Their performance had a dramatic climax with both the dancers going up on a platform and Neha’s huge billowing orange skirt (at left) providing a stunning visual for the “Gerua” song. Their dances were choreographed by Shilpa Jadwani. Andy Leverett and Henna Bakshi’s modern number (above), choreographed by Amit Pawar, had oodles of funk with the couple wearing matching LED outfits that glowed in the dark. Cute and peppy, they danced to “Dil To Bachha Hai Ji,” “Mehendi Lagake Rakhna,” and “Abhi To Party Shuru Hui Hai.” Kavitha Palani and Arul Murugan’s performance was marked by his spectacular entry to the dance floor on a hover board! He swiftly stepped off the board to match Kavita’s steps to “Cham Cham Cham,” and “Kala Chashma.” Quite innovative and modern, the choreography was done by Shiva Turlapati. The last performers of the evening were Shaveta and Anuj Jain who wore matching red and black outfits and danced to “Kar Gayi Chul,” “Jabse Mere Dil Ko,” “Dilliwali Girlfriend, ” and “Badri ki Dulhaniya.” Fast paced and playful, the dances choreographed by Uma Muralidharan were a fitting finale to the wonderful evening. After the star dances were done, the choreographers stepped in to showcase their performances and kept the rhythm going for the rest of the evening. Audience Choice First Place Award Winner Pratima & Pramod Sajja with Choreographer Neeti Mehta & Chief Guest Georgia Representative Brenda Lopez. Audience Choice Second Place Award winner Amit Mailk & Alpa Amin with choreographer Gayatri Menon & Chief Guest Georgia Representative Brenda Lopez. 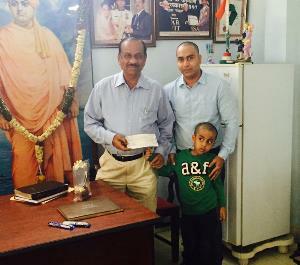 Stars raising most funds - Pratima & Pramod Sajja. To decide on the winners, the audience texted their favorite performer codes and the votes were counted in real time to arrive at the award winners. Pramod and Pratima Sajja won the award for the couple raising maximum funds for the event. They also won the first place for the audience choice award. The runners-up award for audience choice went to Alpa Amin and Amit Malik. State Representative Brenda Lopez gave away prizes to the winners. The evening also saw the release of the official Vibha song video called “One More Star.” Composed by Chandan Gokhale, and conceptualized by Vibha volunteers Vindali Vartak and Kannan Udayarajan, the heartwarming video features beautiful and poignant vignettes and underlines the value of education, truly capturing the essence of Vibha. A silent auction of items donated by patrons to generate additional funds for Vibha rounded off the pleasant evening. What resonated with the audience was watching a group of enthusiastic people who did not really have any formal training, getting out of their comfort zone and dancing for a great cause. This event alone generated close to $80,000 and will support the cost of a year’s education for about 3,000 children in need. People were encouraged to sign up for next year and keep the celebration going. The well-organized, fun event generated funds for a noble cause. Alpa Amin & Amit Malik, Aparna Bhattacharyya & Maria Martynova, Pratima & Pramod Sajja, Sonica & Priya Sahetiya. Sulabha & Abhay Paranjape, Sudhir & Payal Agarwal, Chandrika Lakshminarayan, Nish & Neha Parikh, Arul Murugan & Kavitha Palani. Andy Leverett & Henna Bakshi, Anuj & Shaveta Jain. Bryan Dixon of Planet Ballroom, Movina & Meghana of MeMo School of Performing Arts, Udita & Gayatri Menon of Express The Beats. Amit Pawar & Shilpa Jadwani, Anusha Hussaini of Shiv’s Institute of Dance, Maria Martynova. Prem Rehman of Prem’s Dance Studio, Shama Lightwala; Neeti Mehta, Uma Murlidhar of Planet U Performing Arts.